As the great Billy Mack from Love Actually said it “Christmas is all around”. Every time you go out and breathe in the fresh, crisp air, the warmth and cheerful feeling of the most wonderful time of year takes over. The festive feeling really begins when the city is lit up with Christmas lights, spreading so much cheer. Angels, snowflakes, and Christmas trees scatter the joy in every street. As soon as decorations are in every window, you know Christmas is not far away. When the first snow starts to fall, everyone gathers around the fire and the smell of roasted chestnuts fills the air. Finally, the first day of December is here and the wait is almost over. Nothing brings more cheer than a thoughtful Advent Calendar to count down the final days until Christmas. The joy continues with every day towards Christmas as there is a little surprise to look forward to every morning. From little presents to recipes and cheerful messages – this tradition has lived on for quite some time now. Do you remember the joy you felt when you received your first Advent Calendar as a child? Do you remember the joy in your children’s eyes when they got a glimpse of their first Advent Calendar? Do you yourself still enjoy a little surprise every day for counting down the days until Christmas? I bet you do and I bet your customers do as well! Especially in the digital age, it is hard to take in the holiday spirit and have some time to think about what Christmas stands for. 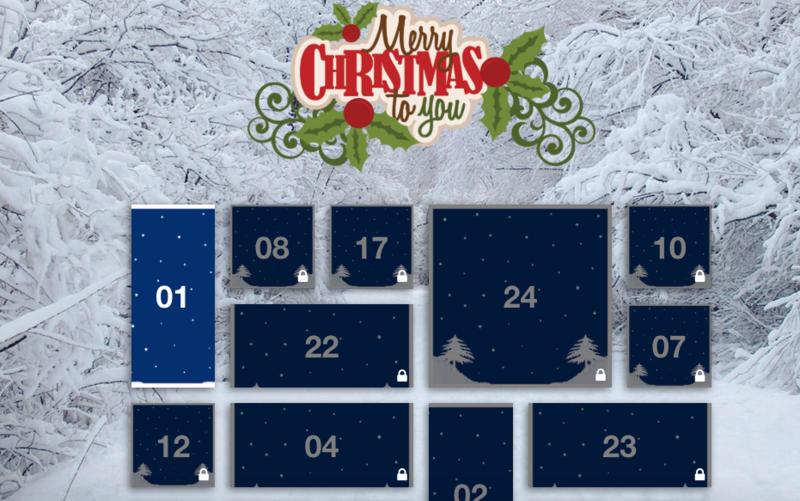 With an online Advent Calendar, you can put a smile on every face of your customers and send some love and peace their way. Give your customers a treat for their loyalty or do something good with a charity campaign. ODICCI helps you to create a personalised online Advent Calendar with all your desires and needs. Contact a member of our team to start creating it today. Have yourself a merry little Christmas! Let your heart be light and your troubles will be out of sight! Spread love & peace and treat people with kindness!